Christmas, the sacred day celebrated in great merriment and sincere prayers. The festival season has finally begun and teams are in full swing celebrating the holy ceremony. 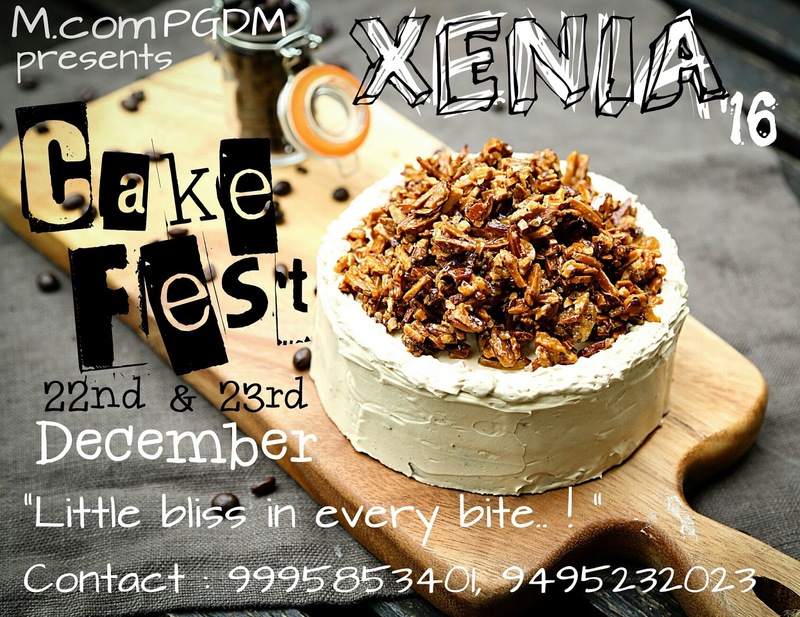 As the month of December gets underway, we, Stalwartz of 1st M.Com PGDM are ready to conduct the cake fest “Xenia 2k16” on 22nd and 23rd December 2016.we are extremely happy to cherish this joyful event by making contribution to the Managers Fund from the sale proceeds of “xenia 2k16”.we look forward to celebrate this cake fest with all Marianites. Cordially welcome you all to the luscious cake fest.